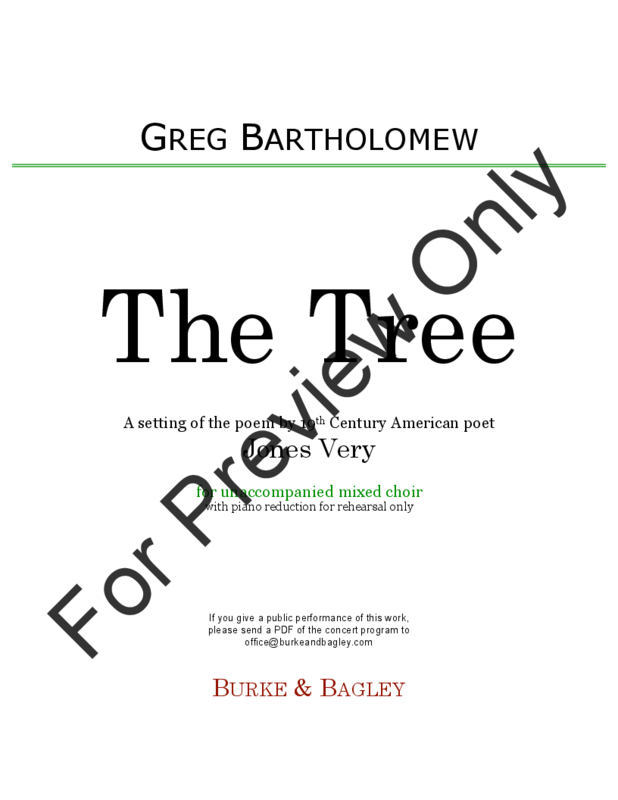 A cappella Publisher Desc. 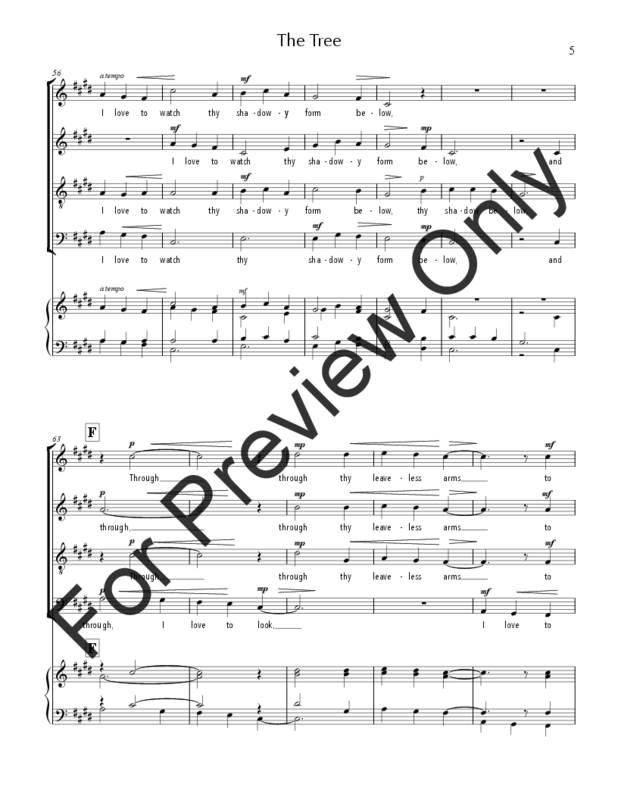 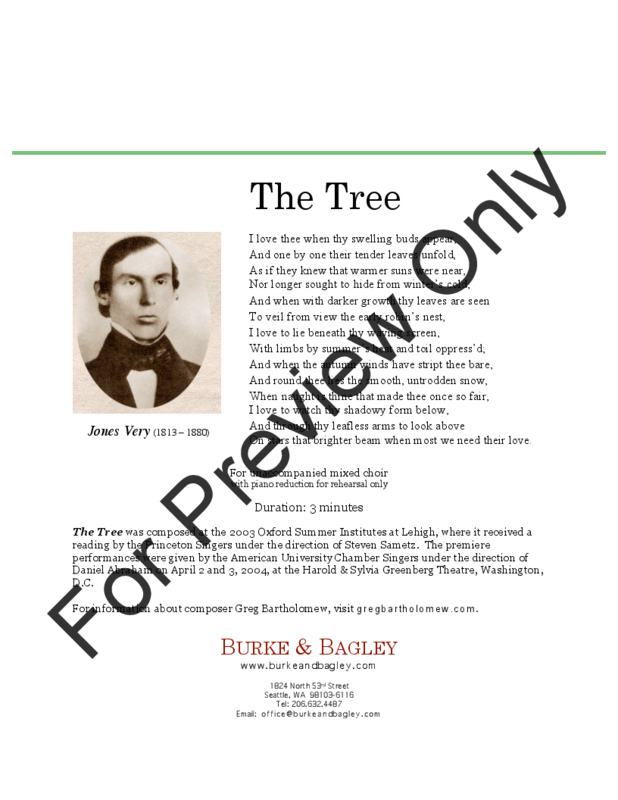 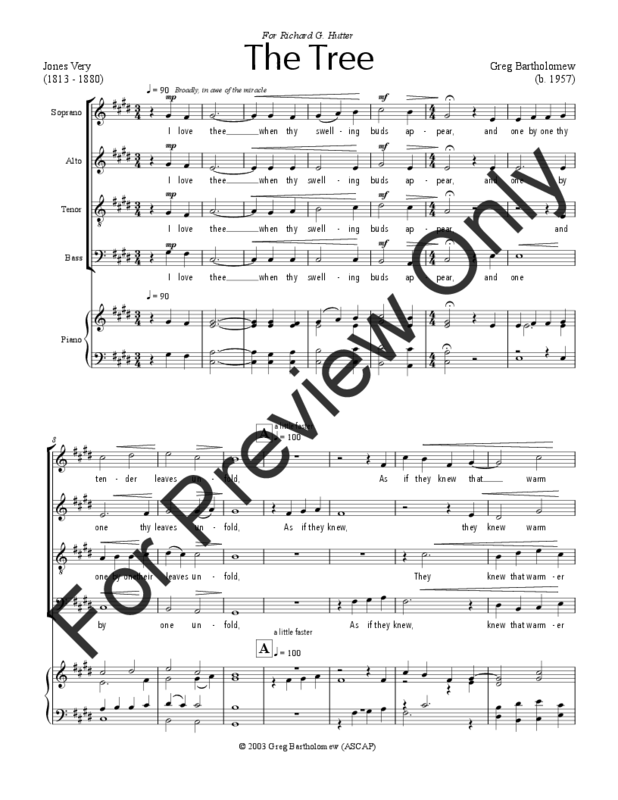 The Tree is a setting for unaccompanied SATB mixed choir of the poem by American transcendental poet Jones Very (1813 - 1880). Composed at the 2003 Oxford Summer Institutes at Lehigh, where it received a reading by the Princeton Singers under the direction of Steven Sametz. Premiered April 2, 2004, by the American University Chamber Singers under the direction of Daniel E. Abraham. 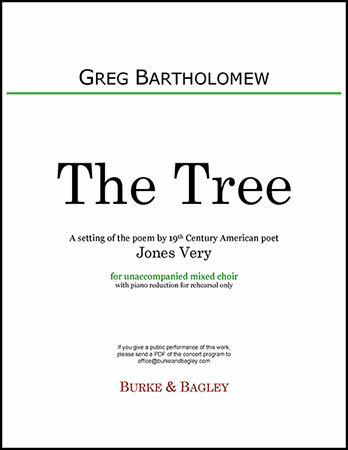 In March 2012, The Tree was named a Silver Platter Repertoire Award Winner by the editor of the ChoralNet Composition Showcase.